For Evan Kirstel, Social Business has been a healthy “obsession” for years. He has massively grown his personal social networks, while helping dozens of clients grow from zero to tens of thousands of engaged followers. Evan has 280K followers on Twitter, 50K connections/followers on LinkedIn and 100K followers on Instagram, growing by thousands monthly. His connections are a "Who's Who" of the B2B Enterprise, IoT, Cloud, and HealthTech. Evan was named the fifth most engaging B2B marketeer in the US. He was recently selected to be a 2017-2018 HIMSS Social Media Ambassador. Michael Krigsman: Social media in the enterprise is of crucial importance, but most brands, I hate to say, are not doing it well. We're talking with Evan Kirstel, who is one of the top social media influencers in the enterprise in the world. Evan is going to explain to us how to set a social media strategy and how to do it right. Evan Kirstel: Well, I spent about 25 years in the enterprise world in B2B tech from some big companies like Oracle, Intel, and others through startups. A few years ago, I struck out as an independent to take my personal obsession with social and digital to blue chip clients in the enterprise and really never looked back. Michael Krigsman: Evan, when we talk about social media strategy, why is it so important for the enterprise today? Evan Kirstel: Well, increasingly, social and digital is where your customers live. In this world of digital marketing, you want to meet customers, partners, journalists, and analysts where they are. In this attention driven economy, they are increasingly on social media. It's about engagement with clients, prospects, and customers in a place where they're increasingly spending the majority of their time, and that leads us to social media. Michael Krigsman: What are the challenges that brands face when they're trying to do social media in the right way? Evan Kirstel: People like engaging with people. Brands come off as sort of interlopers in this social media discussion and have a tough time being genuine, have a tough time coming off as something else but salesy and pushing themselves and, generally, find themselves lost in the noise. There are a lot of big brands throwing a lot of money at social and digital, and it's very hard to stand out, to get noticed, and to find a genuine engagement in this landscape these days. Those are among just a few of the challenges they face. Michael Krigsman: What is the key, do you think, to building an effective social media strategy? Evan Kirstel: Content is the first step, having compelling, interesting and regular content that catches the attention in a really meaningful way. It all starts with the message and the content. It also starts with community. Social isn't about putting press releases on the Internet. It's about building a community of engaged customers, followers, employees, and management. It's really hard to nurture and grow a community. Increasingly, those communities are growing around social media, and so it's really important for customers not only to build a community on social media but to nurture that community and to participate in what are hundreds of communities across the digital landscape. And so, it's a little overwhelming, frankly, not just for individuals but for brands. Michael Krigsman: Participating in a community, building that community, is that the heart of social media strategy or is a social media strategy apart from that? Evan Kirstel: Community building and advocacy, developer relations if you're in that space, is increasingly an important component, but it's a strategy that begins from the top down and meets the grassroots coming up. It's no longer the domain of marketing, communications, or PR but, for brands, it means leveraging and energizing the entire company and its supply chain, it's leadership, it's management, it's investors, and all of the various stakeholders that are out there increasingly visible and active on social. It's a multiprong strategy and, to get it right or to do it well, you have to have all of the spokes of the wheel in alignment. Michael Krigsman: Evan, can you give us an example from your own experience working with brands of a brand that's doing it well? Tell us the story of progression, perhaps, that you took a brand through in order to have that positive outcome? Evan Kirstel: Well, a more recent example is AT&T Business, which of course is a very old brand, back to the invention of the telephone, literally, 100 years ago. Of course, AT&T Business is a gigantic brand, a ton of success, a ton of visibility. But even for big brands like AT&T Business, it's not enough simply to focus on paid media and paid social. What's really required is to leverage an audience, engaged audience around their events, around topics, themes, and keywords like IoT, 5G, and health technology that are interesting and leverage channels that extend their reach beyond typical advertising and marketing. Social, these digital platforms, are tremendous enablers to multiply reach, to drive visibility of engagement, and to reach those journalists, analysts, influencers, prospects, and partners that are increasingly social as well. By working on social and digital in a meaningful way, internally and then even externally with influencers like myself, they're able to drive visibility, engagement, [and] impressions 10x what they were doing otherwise. I think that's a trend that, with big brands, you'll see. Even smaller brands that maybe aren't getting their fair share of engagement and visibility are turning to social because it's a great gorilla marketing tool or tactic to leverage--for very short money--visibility, insight, and opportunity in digital. Michael Krigsman: Inside a brand like that, who is the corporate or the executive sponsor that's behind the broader strategy? Evan Kirstel: It's interesting. In the past, you would have seen, obviously, marketing take ownership and marketing communications take ownership of that activity. I think that's extending into this new area of influencer relations. Analyst relations, as you know, Michael, has been a part of the company ethos for many decades. Now influencer relations and influencer management is now coming to the floor. We're seeing sales, business development, and even the product house beginning to leverage social to get the message out. It's really become a multidisciplinary, multiprong strategy beyond just traditional marcoms, which I think has been fantastic, often starting right at the top from the CEO downwards. Michael Krigsman: It does require that executive level sponsorship for this type of comprehensive strategy to work. Evan Kirstel: I think companies that have proved most successful have a champion at the top. If you take Salesforce for example, who isn't a client but is a good case in point, Mark Benioff is one of the most social CEOs in the world. And so, by leading from the front and setting an example of tone and content, he really rallies the troops around employee engagement, participating in that advocacy right down to the average worker there. That's a company that's done a great job in social and digital. Michael Krigsman: Evan, let's shift gears and talk about the social media platforms. What are the platforms that brands need to pay attention to today, and how should they navigate these different platforms? Evan Kirstel: Well, I hate to be the bearer of bad news, but the platform strategy is really all of the above. It's not Facebook or LinkedIn or Twitter, et cetera. It really is leveraging every platform in a way that makes sense for them and for their customers. You'll see a lot of headlines about Facebook not being suitable for B2B or Twitter not being suitable for sales, and on and on. But really, these communities, from Instagram on to Twitter, LinkedIn, Facebook and, of course, emerging communities like Kora, Reddit, and others are giant platforms with hundreds of millions if not billions, in the case of Facebook, of users and subscribers. It's important for a brand to leverage every one of those communities in a meaningful way. Even in the B2B tech world, there are ways that you can really make an impact on Instagram, Twitter, and even Facebook, surprisingly. The key is to keep an open mind and to practice the art of social and digital, not simply discount these platforms because you have a hunch they might not work. Michael Krigsman: Evan, can you give us another example of a company that is using these platforms in a multi-pronged manner? Evan Kirstel: Well, there are many. I like to look at startups that, through social and digital, are able to generate a huge amount of buzz from the ground up. I mean in our neck of the woods in Massachusetts, there is a super small company called Blueforce. Blueforce development is building IoT systems for first responders. There are about 15 people but, by using social and digital techniques, they're able to build a community of firefighters, policemen, and first responders that are really robust and dynamic. Frankly, it's kind of become, for them, a grassroots movement around applying IoT technology to the first responder world. They've done it through Instagram. They've done it through LinkedIn. They've done it through Twitter. They've done it through a lot of content curation as well as content creation. Here you have a small, 15-person company who are able to punch way above their weight class and get noticed and play with some of the big boys and girls like Samsung who are out there as one of their partners. There are just tons of great anecdotes and stories and they're all doing it for, frankly, a fraction of the cost of traditional media and marketing. Michael Krigsman: How do they do that? How does a small company like that have the resources to punch so far above their weight, as you just described? Evan Kirstel: I think it starts with building a working group in a company of folks who are willing to invest the time and effort required to make an impact on social. Everyone doesn't have to be a fanatic like I am, but you do have to invest many, many hours in the week to execute a social and digital strategy. The first part was making a commitment to putting out content, curating content, engaging and, generally, participating in this sort of social landscape. The second is, frankly, they hired an influencer, namely myself, to help amplify, engage, and spread the word on their behalf. The combination of outside help and building a core team internally, it made it sort of a push/pull kind of strategy that has worked out tremendously well for them. Michael Krigsman: We've been talking a lot about community and engagement. Let's turn our attention to these subjects. How can a brand build that community that's so important? Evan Kirstel: I think the first thing the brand has to do is enlist its employees. Employees can be your biggest advocates and supports. Many companies have hundreds if not thousands if not tens of thousands of employees who have nurtured, trained, and equipped, can step up as advocates for the brand. The second is to build a content marketing strategy that helps them get noticed with compelling, interesting, fun, and insightful content across not only written word but spoken word--video, for example, I know you do very well--and on and on. That helps them get noticed in a meaningful way across these multiple channels. Finally, it's having an influencer marketing strategy. It's working with analysts and influencers across the social and digital landscape in their particular vertical or verticals that can make an impact. Many brands are waking up to all of those strategies and are starting to find social is the key sort of spearhead of their marketing initiatives. Michael Krigsman: What are the characteristics of successful efforts that actually do magnetize people in a particular audience, group, so that they coalesce as part of your community? Evan Kirstel: Strategically, it means identifying the profile of your audience, really understanding that audience, which of course differs from Twitter to LinkedIn to Instagram, and positioning yourself accordingly. It means meeting that audience where they are. Typically, it might be at events, but also small events, meetups, it might be large events like CES and pretty much everything in between. That means being active, engaged, and tracking not only events, but the keywords and hashtags that are relevant to your community and participating in the sort of watercooler conversations that happen around these events, key themes, and hashtags, and driving engagement. Tactics like Twitter chats, for example, can be extremely effective. Video, like we're doing now, can be extremely effective. At the end of the day, it's about driving awareness, but also driving traffic to your content, to your website, to your events and, ultimately, to your salespeople. Having a strategy that links marketing, i.e. social and digital, with sales and selling and sellers, is also a fundamental requirement for driving outcomes. Michael Krigsman: I think many people are kind of nervous or tentative about participating on Twitter. And so, what advice do you have for those folks who want to build that community and want to engage, but they're not sure how to do it? Evan Kirstel: Well, I think you find folks who you admire and are interested in through social listening and really emulate what they do and how they participate and engage and sort of copy the best of them. That's always a good way to get started. I think, avoiding controversy, politics, and a lot of the nonsense that happens on Twitter and focusing on the 1% of pure tech conversations is really helpful. I would say, don't be afraid. I've been tweeting and posting for over ten years and can count on one hand the number of negative, truly negative interactions I've had. I think, besides the headline of trolling, bots, and negativity, there is a really great community there that is just right for engagement and focus really on education and sharing insights versus the more controversial side of social that's out there. Michael Krigsman: Evan, let's talk about followers. Everybody wants followers. Is followers the right metric even to be thinking about? Evan Kirstel: Followers is a metric. I don't think it's the primary metric. It's important to recognize that a follower is not a follower is not a follower. A thousand followers are not necessarily less engaged than someone's 100,000 followers. Context is important and it matters more in terms of the type of engagement you're getting and the type of topics you're engaged with. I mean if you look at your Twitter analytics, you might find you're getting way more impressions, retweets, and mentions than someone with many more followers. It's important to understand what you're trying to achieve versus simply focused on follower growth. Although, having said that, using some best practices in terms of tools, techniques, daily tactics, it is possible to consistently grow your followers among other key metrics. Michael Krigsman: There is a core distinction between followers and the engagement of those followers with your social media stream. Evan Kirstel: Yeah, Michael. I suspect your followers, having known you for a decade or so, are pretty engaged with your content and what you're doing. That isn't true for everyone on social. It's really a function of sticking to a game plan, sharing great content, and being engaged with your community in terms of sharing, liking, and responding versus simply going after a follower growth at all costs kind of strategy, which doesn't really mean much in the B2B world because, in the B2B world, we're talking about thought leadership; we're talking about impressions, website referral traffic, and content shares, not necessarily followers. Michael Krigsman: What are the right metrics? How do we evaluate the success of a social media strategy or social media program? Evan Kirstel: I think there are multiple benchmarks. I think, looking at website clicks and website referral traffic is an important metric. Many of my clients use HubSpot, Marketo, or other tools to measure the impact of social media on website visits and referral traffic. The nature of the followers you're getting, are they relevant, are they prospects, are they partners, are they analysts, journalists? There's really a qualitative assessment that needs to be made. Also, outcomes; if you are engaging with your followers, it's quite possible to translate, to turn those followers into prospects through DM, through inviting them to briefings, meetings, [and] events. The engagement side of social is an important driver of actual leads and return on investment. Michael Krigsman: We hear about companies chasing what's called vanity metrics, and that's not the best strategy. Tell us about vanity metrics. What's that about? Evan Kirstel: This is very much a business-to-consumer side. In the ad world, all you care about is impressions. While that's an interesting metric, it's not the only, most important metric that you need to consider. On B2B, it's really all about education, sharing insights, informing the market about trends and opportunities, and sharing something valuable. That extends beyond the sort of vanity style measurement that exists in B2C. The more meaningful interaction, content, and engagement you can secure from social, the better it is for the brand and the better it is towards an outcome. Michael Krigsman: Evan, it sounds like you're always thinking about, what does my audience want, so who is my audience, what kind of content can I share that they will find useful, and how can I make myself available to them through interaction to enrich their lives, their experience? Evan Kirstel: Yeah, that's very true. Thanks for that. The fundamental mistake many people make and brands make is that they really make their social account all about them, whether it's personal, it's all about me, or whether it's the brand, it's all about my news, my products, my datasheets. That's a massive failure. The key to being successful on social, to getting those followers you referenced, to getting engagement is making it all about the marketplace, the latest insight, the latest news, trends, or tech trends. It's really making 90% of your feed about other people. In the process of sharing interesting, fun, insightful content, you're attracting the kind of followers you're looking to attract. I think if brands were more outward focused versus inwardly focused, they could be much more successful. Michael Krigsman: It's really hard for many brands to be outwardly focused because the entire concentration of marketing resources and attention is usually focused on, "Here is the new, cool stuff that we have and we need to get the word out." Evan Kirstel: Like anything in life, it's a balance. I mean there is a balance to be had. Whether it's 90/10 or 50/50, striking that balance for the brand is important. In any given day, the most interesting news in tech is not going to be their product. It's going to be something else happening in the industry. Providing relevant context and insight into what's happening around them in the tech space is what will get them attention. Finding, sharing products and solution info is important, but only in a sort of mix of overall conversations. Michael Krigsman: Evan, let's talk about influencers. Why is influencer such an important topic these days for enterprise social media? Evan Kirstel: I think it's an important topic. It's misunderstood, and there is certainly a negative connotation around influencers that has really been well deserved in many regards, particularly in the consumer side of things. Frankly, I consider myself a practitioner as much as an influencer. Although I'm not an analyst like yourself, I consider myself to have an industry background, a perspective on the industry, a point of view. When you combine my "influence" with the audiences I have with my industry background, I think that's what's of interest to brands. Just having a large audience alone isn't really enough to move the needle towards those outcomes that you referred to earlier. Influences, in any vertical, in any industry, in any space across, frankly, the whole economy now have the opportunity to bring their unique perspective and experience to the social digital world. It happens that my background in B2B tech is suited for a bunch of clients in this space. Michael Krigsman: But aren't influences attractive to brands because the influencer has that distribution? Isn't it, in a way, like the vanity metrics where we're just looking at followers here? Evan Kirstel: Yeah, I think there's a continuum. I mean there are definitely people chasing sheer numbers. I think those are more tactical kind of one-off engagements. Frankly, the client relationships I have and I'm looking for are long-term, multiyear, strategic relationships where I bring my point of view and industry insight with an audience. I think it's the combination of those things that are important to me. But, of course, there are brands from Heinz baked beans to mainframes that are just chasing vanity metrics. I think those won't be successful in the long-term. The ones who will be successful are those who look for long-term, strategic partnerships and relationship with an influencer or influencers. Michael Krigsman: How should a brand go about selecting, finding, and then choosing an influencer? Evan Kirstel: I think there are many ways to do it. What I've seen successful is, frankly, through social listening. Looking at who is having conversations on a consistent, day in/day out, week in/week out basis, and really engaging with those individuals and building a relationship over time. If you look at the clients I had, we've had, frankly, relationships on social in some cases for years before engaging in a contractual relationship. So, it's important to seek influencers who have an authentic experience persona that's relevant to the brand and can add value versus making a sort of hasty decision based on an agency or other input. Michael Krigsman: What about the distinction between paid and unpaid influencer relationships? Evan Kirstel: There are things all over the map as far as that is concerned. I've done unpaid projects because there's a win-win in terms of visibility and recognition. I'm focused on paid work because, frankly, I can devote more time and effort to the relationship and to building a relationship with a brand. The more time I spend, the better I get to know them. I think the more successful relationships will be a win-win regardless of whether it's paid or unpaid in that the outcome involves a win for both the influencer and the brand. It's not sort of a one-way relationship. It's evolving rapidly. Increasingly, there are things like bartering going on with influencers and other means of payment. We'll have to watch this space and see how it evolves. 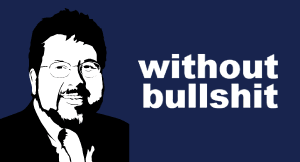 Michael Krigsman: Any final thoughts or advice on working with influencers? Evan Kirstel: I would just advise, the more you get to know folks on social and digital in your space, the more you'll understand the landscape and you'll understand who is who in the zoo. I'd say, don't rush into building relationships. Get to know people. Build person-to-person style relationships. Start small with maybe a blog, a project, or a video. Then test it and then move from there. I think it's in the interest of both parties to have meaningful, long-term relationships. That only gets to happen when there's trust from both sides. I think that would be my preferred approach, for example. Michael Krigsman: Finally, Evan, on this topic, are there ethical considerations regarding things like disclosure that the brands and the influencers need to keep in mind? Evan Kirstel: Oh, yeah, the FTC has pretty strong guidelines now about influencers and influencer marketing. Disclosure is now par for the course. I think it's a good thing. There has been a lot of shenanigans that have happened in the influencer marketing world in the consumer side now for some years with crypto and other schemes. I think that now that there is a recognition that disclosure is fundamental, I think it's good for the industry and good for the community of influencers. Michael Krigsman: Evan, as we finish up, tell us about the tools that you use. You're like a machine with social media. It's unbelievable the amount of content that you're putting out. How do you do it? What are the tools? What are the processes or workflows that you use? Evan Kirstel: It's funny. There are a lot of tools, and there are a lot of techniques. I find, in particular, there's not one tool, there's not one silver bullet that works, so I'm constantly experimenting with tools. Frankly, there are hundreds, now thousands of tools for curation, for listening, for content aggregation, and on and on and on. What I find myself doing is being sort of a guinea pig for my clients and experimenting with tools, different techniques, and tactics to see what works. By experimenting with my own account, I can then make suggestions to clients. What you see is an ever-evolving experiment of different tools, different modes of social, even different platforms, whether it's Kora, Medium, or other platforms, so I can become sort of a practitioner, if you will, when I make recommendations. The lesson is, there's no one tool I could suggest. But if you get out there and practice and experience firsthand, through trial and error, you'll find sort of a stack that will work for you. Michael Krigsman: Can you give us a sense of some of the key tools you're using right now? Evan Kirstel: I love Buffer, for example. Buffer is a great tool for sharing content queues, for scheduling, and curating content. It really is an effective tool in that regard. I love a tool called DrumUp that will find and curate content into my feed. I love Brand24, which is a great social listening tool and a tool you can use to measure outcomes and measure impressions and engagement around keywords and hashtags across multiple platforms. Those are the three I would definitely recommend right away. Michael Krigsman: Okay. Any final thoughts, Evan? Evan Kirstel: I would just say, let's connect, whether it's on LinkedIn, Twitter, or Instagram. Come join the party. I look forward to seeing you there. Michael Krigsman: Evan Kristel, thank you so much for taking time to teach us about enterprise social media. Evan Kirstel: Thanks so much, Michael. I look forward to catching your next episode. Writing a business book is hard, from deciding on the topic to creating logic, story, and case studies. A best-selling author and ghost writer, Josh Bernoff, shares his advice on how to plan, write, and sell a business book. Storytelling is a crucial skill for business. But, how can we create a story arc and narrative to our advantage? 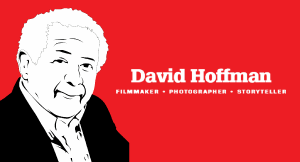 Well-known documentary filmmaker David Hoffman shares his knowledge on how to create powerful stories. 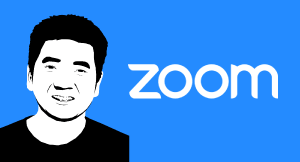 The CEO of Zoom Communications shares his imperative to create "customer happiness." Join us for a glimpse inside one a top enterprise software startup unicorn. How can companies improve the customer experience to meet changing expectations? 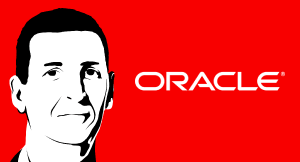 Des Cahill, vice president and head CX evangelist at Oracle, speaks with CXOTalk about using data to merge the four silos of information: Marketing, sales, commerce and service. Why is health insurance so confusing? What are the best ways to save on healthcare? David Edelman, Chief Marketing Officer at Aetna, tells CXOTalk how the health insurance company is changing its focus to meet individual needs, simplify the process, and help people live healthier lives. Culture change is as much a part of digital transformation as technology itself. 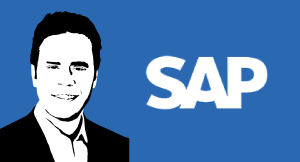 Nick Tzitzon, EVP of Marketing and Communications for SAP, speaks with CXOTalk about how marketing and communications are needed to reach both employees and customers.